Death is inevitable, but how we deal with it is often based on cultural practices or religious beliefs. 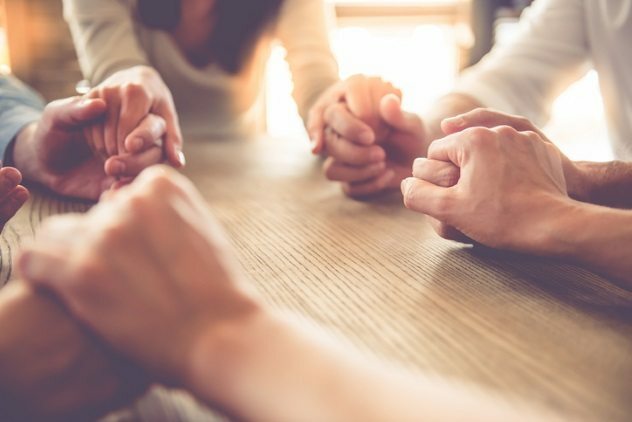 In some cases, mental illness, criminal intent, fear of what may happen to oneself, or simple indifference determine how a person responds to a family member’s death. In general, however, the deceased’s remains are given some sort of respectful disposition. That’s not always what happens, though. In most cultures, when people respond to the death of a family member by continuing to live with the dead relative for days, weeks, months, or longer, people feel a line has been crossed, not only between life and death, but also between the socially acceptable and the taboo. 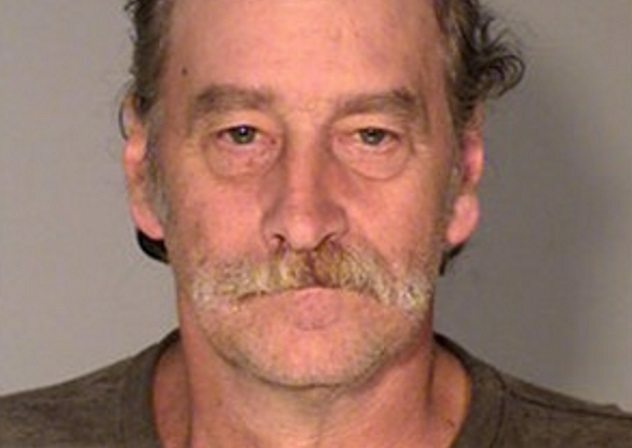 Robert James Kuefler of Minnesota denied he was a “nut ball” for living with the bodies of his deceased mother and brother for a year. He did so, he said, because he was traumatized. “What would you do?” he asked. To ward off queries and visits from friends and other relatives, Kuefler’s Christmas cards explained that his mother and brother were in ill health. They didn’t want to be telephoned or visited, the cards indicated. His mother had expressed the wish to die at home, Kuefler said, and had no burial plans. Police charged Kuefler with interfering with a dead body or scene of death, a misdemeanor, in order to get him psychological help, although Kuefler said he does not need counseling. A resident of Vasai, India, 45-year-old Sangeeta Iyer lived with the body of her 42-year-old dead sister, Lalita, for three days, before reporting her demise to the Manickpur police in August 2014. It wasn’t the first time she’d shared their Pushpanjali Apartment suite with a deceased relative. A year before, she and her sister had lived there with the body of their deceased mother. After being disowned by the rest of their family, the mother and sisters isolated themselves from society, and the mother and younger sister starved to death. Sangeeta, who was married, lived with her husband until he disowned her. Incapable of taking care of herself, she moved in with her mother and younger sister. 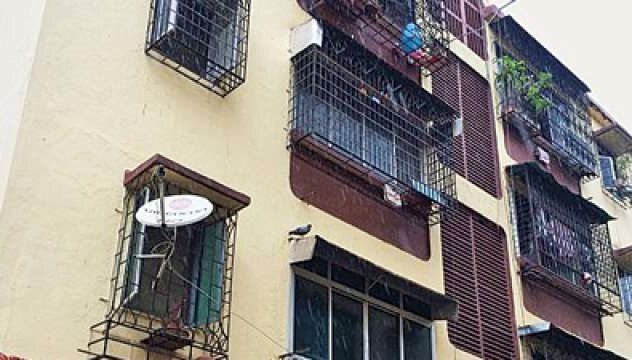 Sangeeta has been ordered to undergo psychiatric treatment, and her apartment will be rented to another tenant. The rent will be used to pay for Sangeeta’s medical bills. Authorities suspected Arabinda De, who was in his seventies, had set his house on fire in order to kill himself. Their June 2015 investigation of the apparent suicide resulted in a nightmarish discovery: Arabinda’s 44-year-old son, Partha De, had been living with the skeletal remains of his sister, Debjani, 50, and her two dogs. Debjani had died of starvation, Partha, said, after fasting to ward off evil spirits she believed were haunting the house. She died on December 29, 2014, and her dogs died in August and September of the same year. Police said Debjani’s body and those of the dogs were kept in Partha’s bedroom. One of the investigators described Partha’s bedroom as a dusty mess: “There was a pile of about 50–60 bones on one side of the bed, with cakes and pastries near them. There was another small cot with a skeleton, half covered by a blanket. There were a few stuffed toys near the headboard of the bed.” The food, Partha said, was for his sister and the dogs. He offered them something to eat every day. The bedroom windows and other openings were sealed to prevent the odor of decay from escaping. Although his family lived next door, Partha was largely estranged from them. When they visited him to celebrate his birthday, he refused to admit them to the house. A maid cooked for Partha, but she left immediately afterward. 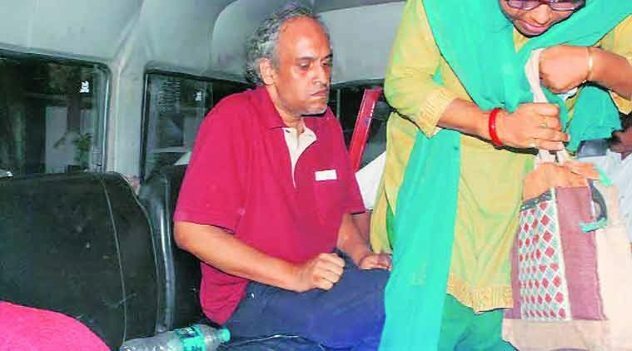 Partha was diagnosed with depressive psychosis, and police charged him with committing an act “likely to spread infection of disease dangerous to life” and with omitting “to give information to public servants.” Police found a suicide note Arabinda wrote on June 8, suggesting he’d planned his own death days before. After receiving treatment at a mental hospital, Partha was released in February 2017. Like his father, he committed suicide by burning down his residence, an apartment in which he’d lived since his release. Investigators found petrol and a matchbox in the bathroom, beside his charred body. 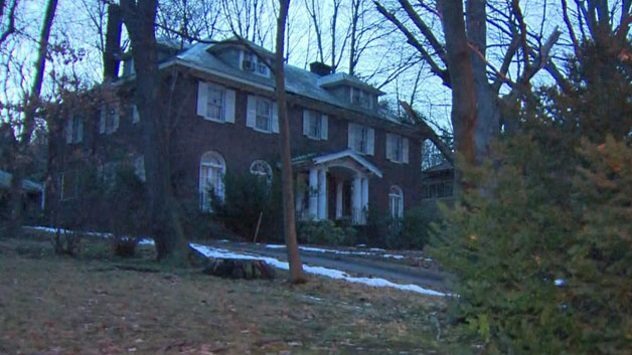 Neighbors called the $1 million Brookline, Massachusetts, mansion haunted, but they had no idea of what actually went on inside the house of horrors: One of its residents, a 67-year-old woman, lived with the corpse of her 66-year-old sister for over a year. The reclusive women were hoarders who’d boarded up the front of their house a year before a cousin found the younger sister’s body under the kitchen table during a December 2016 visit to their home. Although neighbors had offered to maintain their yard for them, the sisters had refused. According to Dr. Kimberly Glazier Leonte, who specializes in hoarding, hoarders typically isolate themselves from others because they feel embarrassed. The older woman may have lived with her sister’s corpse, Leonte said, because she was afraid to notify authorities. Police suggested another reason the woman might not have notified them. They said she herself learned of her sister’s death only after they told her of it. Despite the fact that they lived in the house together, the surviving sister was unaware her younger sibling had died. Due to the property’s neglect, the health department condemned the house as unfit for human habitation. Michael Lyons, better known as “Sonny,” shared a rural County Mayo, Ireland, bungalow with his two sisters, Agnes and Mary Ellen Lyons. The sisters, who shared a double bed, were so reclusive that Sonny never knew Agnes had died until a year later, during which time Mary Ellen continued to sleep with her sister’s skeletal remains. Agnes had been in poor health for a long time prior to her death and was probably bedridden. Devoutly religious, Agnes indicated in notes she’d written that she never wanted to be separated from her sister. John O’Driscoll, a superintendent with An Garda Siochana, the national police service of Ireland, said the sisters chose to isolate themselves from the outside world and to severely limit their contact with their brother, communicating with him largely through notes and shopping lists they left for him. Sonny, who respected his sisters’ privacy, last saw Agnes four years before her death, when she’d returned home from the hospital. He discovered Agnes’s remains on August 4, 2004, when he went to tell her that Mary Ellen was ill, and immediately notified the police. Following an inquest into Agnes’s demise, authorities decided not to press charges against either Mary Ellen or Sonny. 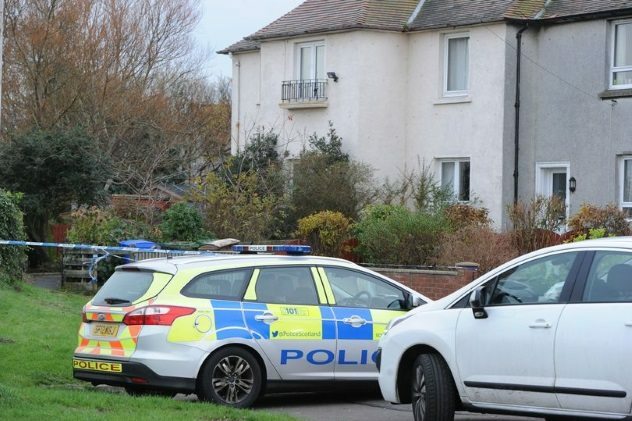 On November 10, 2016, Troon, Scotland’s, police, alerted by a neighbor who smelled a horrid stench in the house next door, discovered not only two tarantulas, rats, a rabbit, a blind cat, and a three-legged sheepdog but also the decomposing body of Sharon Greenop. The 46-year-old woman might have been dead for months, while her daughter, Shayla, 19, and her sister, Lynette, 38, continued to live in the house as if nothing had happened. Calling herself “Mallak,” Shayla posted messages on Facebook, mentioning her mother’s hospitalization after falling in the bathroom. Sharon returned home with stitches in her arm. Shalya said she had to care for her mother, but her comment that “Sharon at her best BLAMES everybody else but herself,” suggested that perhaps the mother and daughter didn’t always get along well together. Lynette refused to answer any questions reporters asked her, replying “no comment” to queries about whether she could explain why her sister’s remains had been in the house for two months, whether she and Shayla had lived in the house with the body, and whether candles had been burned to mask the odor of Sharon’s decomposition. 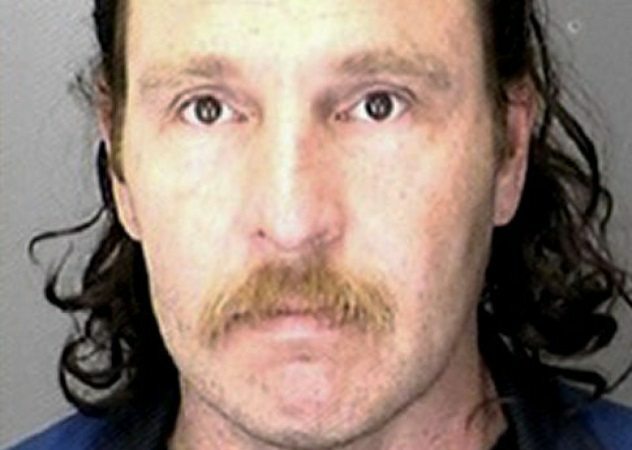 Lara lived with his uncle’s remains for 30 days, until a relative discovered Lugo’s moldy corpse and notified Merced County police, who arrested Lara on suspicion of having committed involuntary manslaughter. The California suspect was sent to jail to await trial on a $175,000 bond. In the region of South Sulawesi, Indonesia, living with the dead is part of life. During a family gathering over coffee, a relative asked Mamak Lisa, “How is your father?” Everyone darted a glance at the bed in the small corner room in which he lay. “He’s still sick,” she replied. In fact, her father, Paul Cirinda, is dead. He died 12 years ago, but Lisa keeps him in her house, talking to him as if he were still alive. His body has been injected with formalin to preserve his remains. The Toraja are predominantly Christian, but animism, a religious tradition that assumes spirits dwell in all things, remains. For the Toraja, there’s a thin line between life and death and between this world and the next. That’s why Lisa brings her father food, drink, and cigarettes each day, bathes and changes his clothes on a regular basis, provides him a bowl to use as a toilet, and never leaves him unattended or in the dark. If she fails to care for him properly, her father’s spirit might make trouble for her and her family. She and her family speak to him because, they believe, he can hear them. 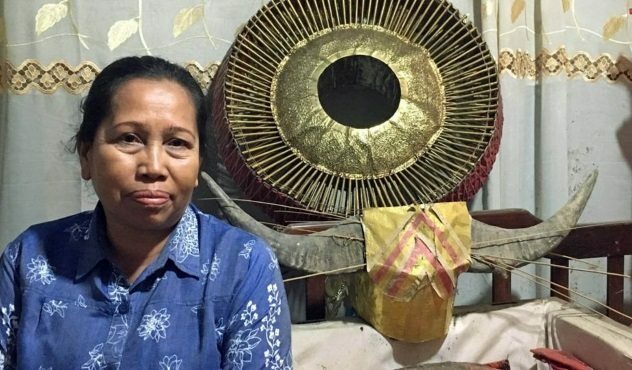 The Torajan practice of keeping dead relatives in the house for months or years stems from a centuries-old custom designed to give surviving family members time not only to mourn, but also to adjust to, the deaths of the relatives they love. “If we buried him right away, we’d also feel the pain very suddenly,” Lisa explained, “and wouldn’t get time to deal with the grief and adjust to the separation.” Her children visit their grandfather’s body, greeting him and asking him to awaken so they can go out for a meal. Once the family has saved enough money to pay for the “grand funeral” required by their culture, they will bury Cirinda. After the lavish service, which could cost as much as $50,000, Cirinda’s body will be laid to rest inside a cave. Like others who have died, he will brought forth every two years or so as the guest of honor at his family’s reunion, where he will be offered food, washed, clothed in fresh garments, taken for a walk around the village, and photographed with his loved ones. 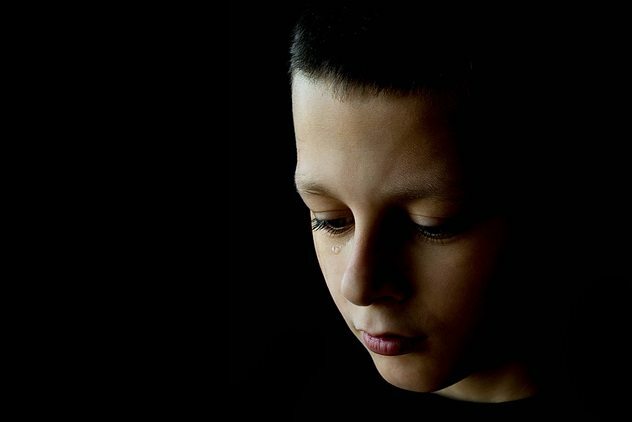 In early November 1999, in Memphis, Tennessee, nine-year-old Trais Butler feared he’d be placed in a foster home after his 30-year-old mother, Crystal Wells, passed away. To prevent such a fate, he covered his mother’s body with notebook paper and her coat and lived with her corpse for 30 days, until December 6, when family members paid him a visit. At her funeral, Travis was presented with the American flag that had covered his mother’s coffin. Afterward, his maternal grandparents, Shirley and H.P. Wilder, took him to live with them in Carthage, Missouri. Wells, who had high blood pressure and breathing problems, apparently died of natural causes. For six months, the body of Peter Wald, who died at age 52, lay in an upstairs bedroom of his family’s home in Hamilton, Canada. His wife Kaling, 50, and her family, which consists of six children, five of whom live at home, believed that, in answer to their prayers, God would resurrect Peter, who died from a foot infection attributed to his diabetes. While they awaited his return, Kaling sealed their bedroom to stop the smell from permeating the busy household, which was home to other adults as well. The family defaulted on their mortgage, and in September 2013, the sheriff came to evict them, which is when he discovered Peter’s heavily decomposed body, which was attracting rodents. The family had included his belongings among the items they’d packed in preparing for the eviction and had made no attempt to conceal Peter’s corpse. Although the Children’s Aid Society investigated the family, no cause for concern was established, and the case was closed. Kaling pleaded guilty to failing to notify police of her husband’s death and was sentenced to probation and counseling. Gary Pullman, an instructor at the University of Nevada, Las Vegas, lives south of Area 51, which, according to his family and friends, explains “a lot.” His 2016 urban fantasy novel, A Whole World Full of Hurt, available on Amazon.com, was published by The Wild Rose Press. 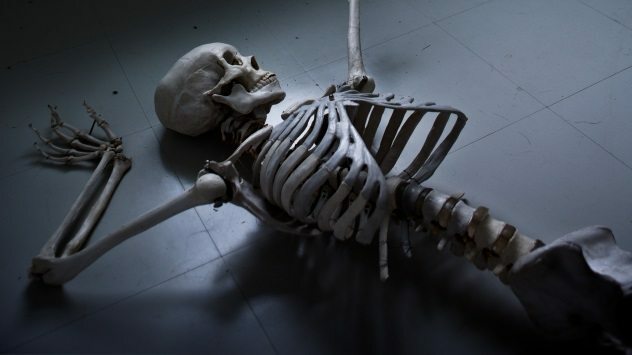 Read more examples of corpses suffering atypical fates on 10 Bizarre Things People Did With Corpses and 10 Disturbing Things That Happened To Famous Corpses.